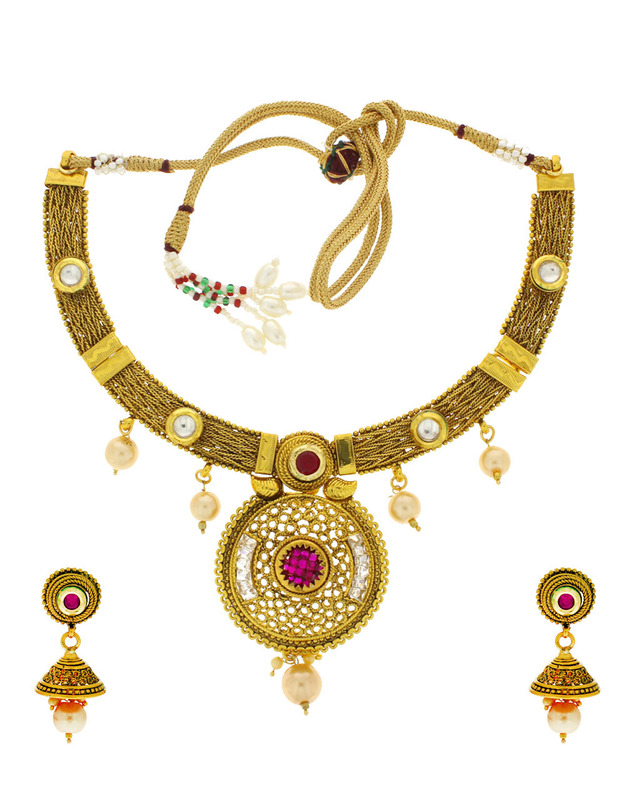 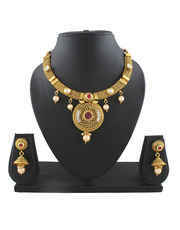 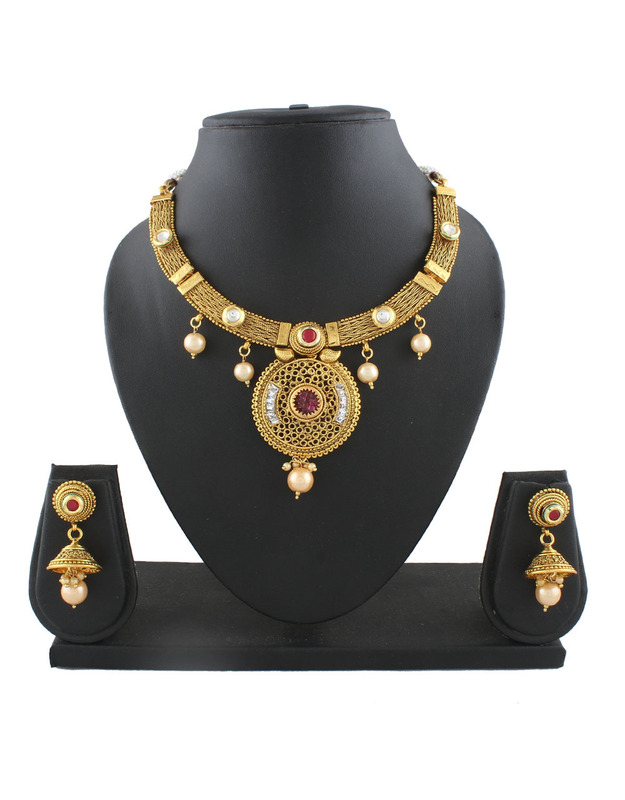 Presenting this royal look designer necklace set for fashionable women who love to wear traditional jewellery. 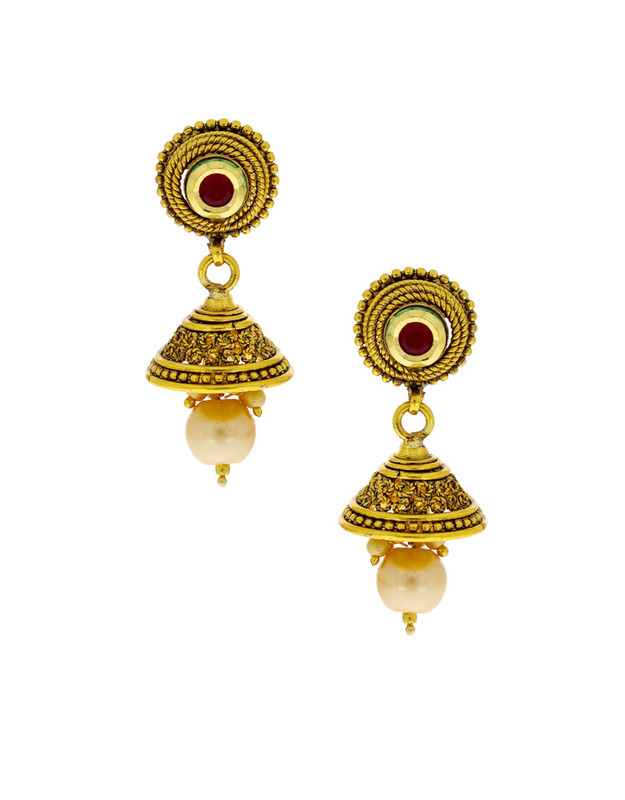 It is embedded with ruby stones along with kundan and has pearl droplets for added attraction. The design of this necklace is unique and worth noticing. So buy now!